Are you ready to drive a luxury car? If so, stop by and see our beautiful selection of new luxury cars for sale in Odessa, Texas. Our inventory includes a selection of elegant sedans, sporty coupes and spacious SUVs. Browse our luxury cars list of Cadillac ATS, CTS, CT6, Escalade, XT5 and XT6 models to see photos, trim levels, color options and prices. In addition to our new luxury models we also have many used luxury cars in Odessa. These pre-owned vehicles are in excellent condition and affordably priced. Used luxury cars frequently available include pre-owned Cadillac, Mercedes-Benz, BMW and Lincoln models. We offer convenient luxury car financing, leasing and special offers. Ask us about current factory incentives or any specials on pre-owned luxury cars for sale in Odessa, TX. 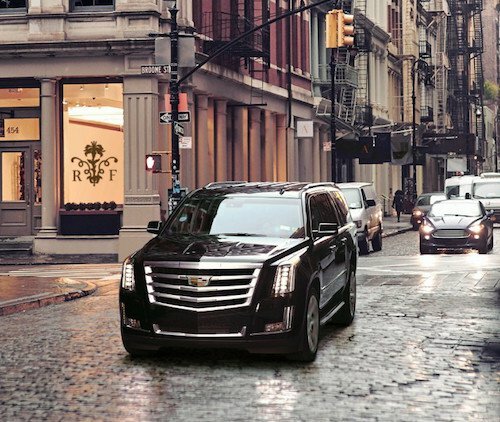 Our friendly sales team is ready to answer your questions, arrange a test drive and help you find the perfect luxury car at Kelly Grimsley Cadillac.